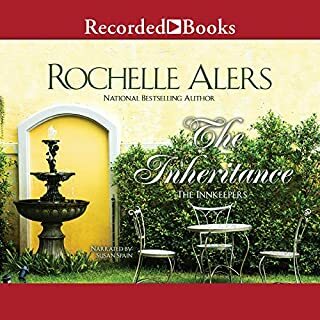 Winner of the Gold Pen, Romantic Times Career Achievement, and Zora Neale Hurston Literary Awards, Rochelle Alers has nearly two million copies of her books in print. Here she crafts the tale of a hotshot athlete and the woman who can fulfill his dreams. Super Bowl MVP Brandt Wainwright’s good fortune runs out when he crashes his SUV into a tree. During the long recuperation, the fun-loving quarterback becomes cranky and sullen - until private nurse Ciara Dennison shows up for duty. Yes, I just loved Mr. Kevin R. Free's voice. He could talk or read to me anytime. What other book might you compare Here I Am to and why? The way the women got mad about not going to the Super Bowl. I'm not sure what a tag line is. More books narrated by "Mr. Kevin R. Free". Would you try another book from Rochelle Alers and/or Kevin R. Free? I would if mr. Free doesnt tell the story. 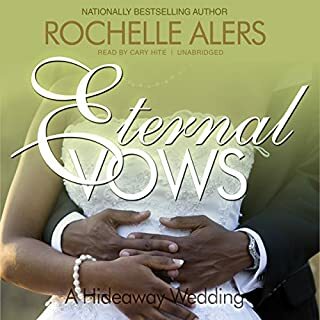 If you’ve listened to books by Rochelle Alers before, how does this one compare? No I havent. This was the first. What didn’t you like about Kevin R. Free’s performance? He narration just wasnt exciting. He is in my opinion boring. I would have preferred JD Jackson. Was Here I Am worth the listening time? No if wasnt. The narrator tone is horrible. He just not worth listening to. This is the first audible book narration i am disappointed with. I am sad that I had to write such a review. This was a sweet story! Yes. It was very well written. Brendt Wainwright, because of his stubbornness. Have you listened to any of Kevin R. Free’s other performances before? How does this one compare? Yes. It was great, except woman's voices were just too deep. Have you listened to any of Kevin R. Free?? ?s other performances before? How does this one compare? Kevin R Free is an excellent narrator. I really liked this book and would recommend this book. I wish this book was a movie or TV show. It had great sexual storylines and great storyline. Would you listen to Here I Am again? Why? i would listen to the book over and over again it was a great story! i wish they had more! yes he was good ! Really enjoyed listening to this book. Where does Here I Am rank among all the audiobooks you’ve listened to so far? 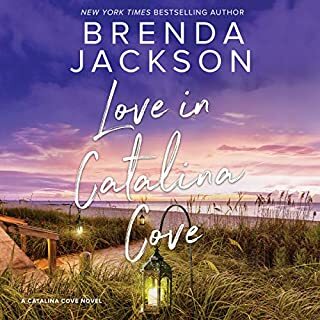 This audiobook is one of my favorite. I had no favorite because each was very good.